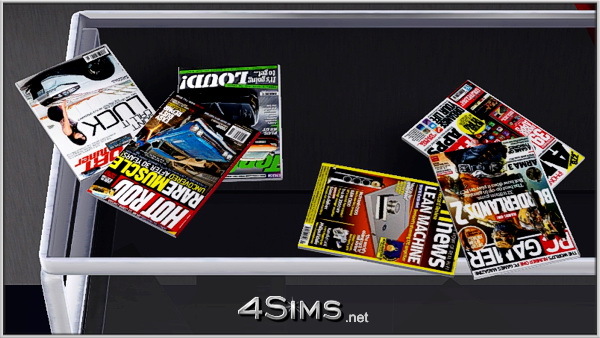 Magazines clutter set new meshes for Sims 3. 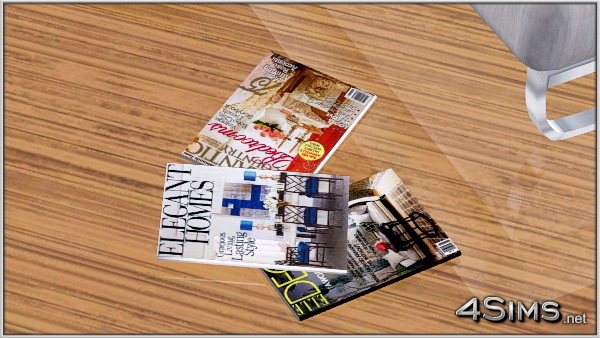 Home & Decor, Cars, Tech magazines, 2 styles: single oblique item with 6 magazine types and 3 items stack with 3 different designs to fit your taste. Meshes are extremely lightweight ( not harm your game performance). Very configurable, placeble on any surface, can be rotated, combined and with “moveobjects on” cheat you can have any combination you want in any position, even under tables or other objects.